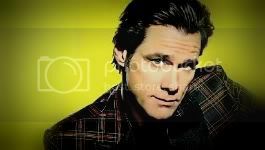 Jim Carrey Online • View topic - Jim's site launched - What do you think? Jim's site launched - What do you think? What do you think of Jim's new site? Hell yeah, I love it! Some of us lucky people on youtube got the link to this site sent to us by Jim. This plane Jayne, kinda got lost.. But that's the kinda day I had. Couldn't link up to films, maybe I clicked and didn't wait long enough. Eye is really creapy, great for Halloween effect. Maybe he'll post pics from the Majestic. Great site, reminds me a bit of the Lemony Snicket site. (dang it) That's how my 1st day back at conducting the Aquafit class went. I should have put them under my suit, live and learn. cotton wrote: Some of us lucky people on youtube got the link to this site sent to us by Jim. hey cotton i looked at all of Jim subs and it was only you and me who got the coment i wonder why Jim chose us hmmm but man i am SO LUCKY!!!!!!!!!!!!!!!!!!! me too! !..........i wonder if it's the same designers? Speaking of his website, what's the link to his official youtube page. I know his user name but i can't find his page nevermind, i found it! Last edited by cotton on Sat Nov 28, 2009 8:22 am, edited 1 time in total. it's an ok site. it takes FOOOOOOOOREVER to load though. 'Tis the fate of many official sites. It doesn't take long at all for it to laod for me. I only have one complaint: What's up with the Filmography page? It doesn't even list his movies.